St. Peter’s call to Jesus across the water offers us a number of aspects of fear as it appears in our hearts. From terror to doubt, from panic to illness…Christ comes and strengthens our faith so we can respond to his saving gift of grace. Study: Consider people you know who are suffering right now. What is the nature of their struggle? Pray: Keep a list of those who are sick nearby when you pray. Remember them often. Serve: How can your faith help someone today who suffers? How can you be an instrument of healing and comfort? Consider for a moment someone you love who is seriously sick. Perhaps it’s a disease, an upcoming surgery, and undiagnosed circumstance, or the relentless experience of pain...we all know loved ones who suffer – and we would do anything to help. 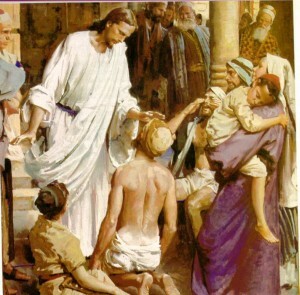 Now imagine that you have heard about a miracle worker who cures the sick and resuscitates the dead. I know that if I discovered that Jesus of Nazareth was even remotely in the area I would rent a bus and bundle in everyone I could fit just for the chance that he would lay hands on them. Simply put, an encounter with Jesus Christ is a healing encounter. In the face of sickness and disease, the Lord draws near – bringing grace and power – to restore life to those who suffer. 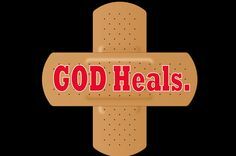 As his disciples, we are part of this healing mission. Who is suffering in our lives right now? How can we help through prayer or service? How do we promote comprehensive healing – in Body, Mind, Heart, and Soul? 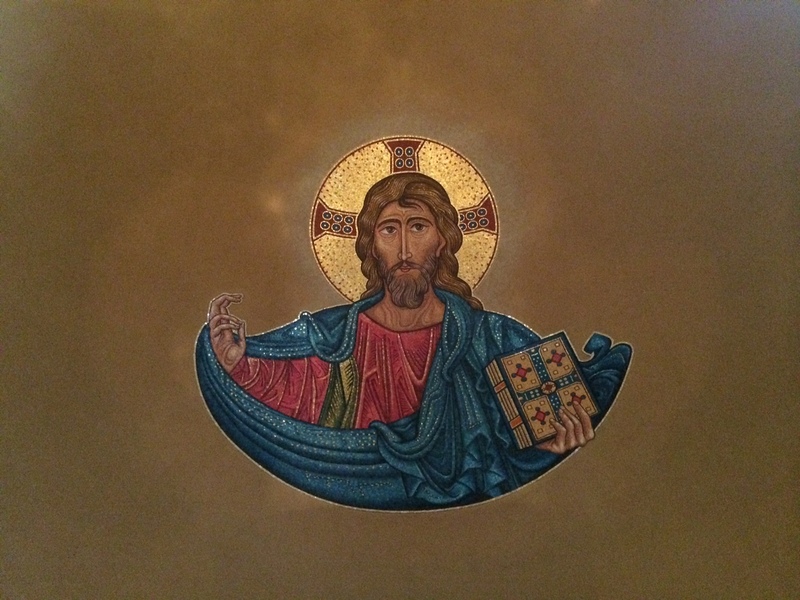 Jesus comes to bring life; may our lives – guided in faith – be directed toward healing the wounds we witness. Note: This blog post was originally published on June 23, 2015. 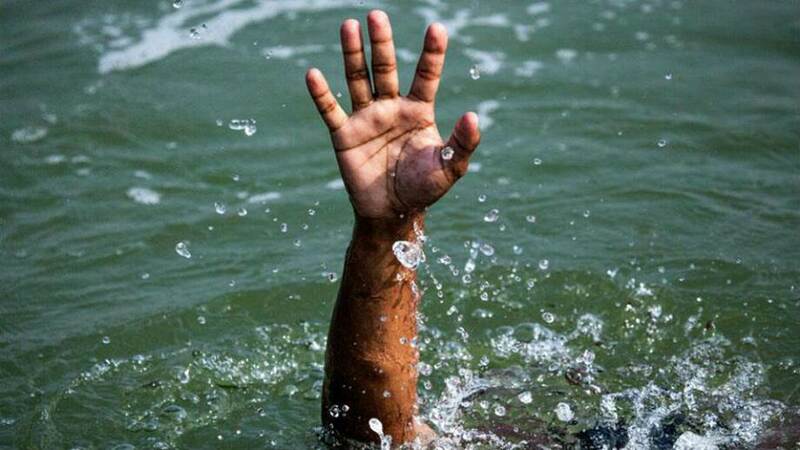 Jesus heals a lame man at the Pool of Bethesda, providing us with an opportunity today to reflect on how the Lord calls us to be agents of healing for those in our midst. Jesus defines much of his ministry with clear examples of healing others, and the Gospel today gives us an insight about how we draw near the Lord. We have all had experiences where we long for healing. We have seen loved ones suffer, and many of us know first hand the presence of pain in our lives. May the example of Jairus and the unnamed woman inspire us to seek the healing grace of Christ! Serve: How can you help someone today who suffers? How can you be an instrument of healing and comfort? Study: Reflect on moments of sickness and healing. Where did you see God’s hand at work in your life? Pray: Is there something in your heart that is keeping you from being healed? Ask the Lord for the grace to remove the obstacles that prevent the saving touch of Jesus. Serve: Who in your life is struggling with suffering right now? How can you help support them in their need? Let’s face it: suffering stinks. It took parish priesthood to teach me how precious is the gift of life, and that includes the gift of health. I make routine visits to the hospitals, say Mass at the nursing homes, and anoint people frequently at church for the surgeries, procedures, tests, and treatments that are part of our battle for healing. All of us know – either personally or through loved ones – the challenges of suffering. Some might ask, “Why does God allow this to happen? Wouldn’t a loving God keep everyone healthy and happy?” Admittedly when we see people who, through no fault of their own, endure horrible pain and illness we rightfully want to know why; at least, it is one of my Top Ten questions to ask the Almighty. And while we do not get our answers in this life, we can acknowledge that suffering is part of human experience; it is something that – in greater and lesser ways – we will all encounter in our journey through life. We see an authentic expression of suffering in the words of Job and the crowd who came to Jesus. Job’s words echo the cry of many who lose hope in the face of ongoing physical, mental, and spiritual anguish; the press of the crowds around Jesus underscores our deep desire to find healing and relief. And in the midst of the reality of human suffering, we encounter Jesus at the heart of our experience. 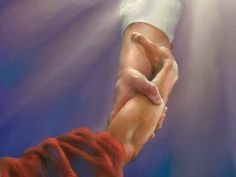 The Lord does not avoid human misery; rather, he reaches out to touch and bless it. It is this encounter with Jesus – healing body and soul, preaching Good News to the poor in spirit, and casting out evil wherever it is present – that renews lives and fosters hope. So, what needs to be healed in our lives today? What in our lives – Body, Mind, Heart, and Soul – needs to be touched and blessed by Christ? God knows our need, may we come to the Lord and seek the one who longs for us to be made whole.